Cuesta College's North County Campus Plant Science Facility is ready for agriculture students who need a little lab time. Rows of trees, green beds, two green houses, and a head house—these are where labs will primarily take place for the Intro to Soil Science and Plant Propagation Production courses the school started offering at the beginning of the school year. FOR SALE Cuesta College students have been working on growing plants and crops for an upcoming plant sale. Freshman Leif Swenson found out about the classes by leafing through the courses offered by Cuesta. "There is a lot that goes on in the ground that I was totally unaware of," Swenson said. "It's really cool and we're learning a lot." He said exploring the microbiology of soil to produce a successful plant has really sparked an interest. He often tries to go into the greenhouse outside of class time to absorb as much as he can about the topic, but it wasn't always that way. When he first stepped foot on the North County campus in August 2017, he couldn't walk over to the area where the plant facility sits. "We weren't even allowed within this fenced area because it was a hard-hat zone," Swenson said. The Plant Science Facility isn't the only thing that's flourished. Cuesta's overall agricultural program has grown immensely since it began about three years ago. The head of the agriculture department and professor of agriculture business, Amy Stapp, said that the number of students who have declared agriculture as their major is about 500, an increase from last year's 237 students. The department offers an associate degree in plant science and a certificate in agricultural mechanics, and courses in soil science and agricultural business. The department is also anticipating offering a viticulture course in the fall of 2018. For now, the students who have worked on growing and tending to crops since the beginning of the 2017-18 school year are selling the fruits of their labors in the facility's first plant sale. On April 21 from 10 a.m. to 2 p.m. on the Cuesta North County Campus, students and faculty will be selling the first batch of fresh crops: tomatoes, eggplants, and peppers, to name a few. 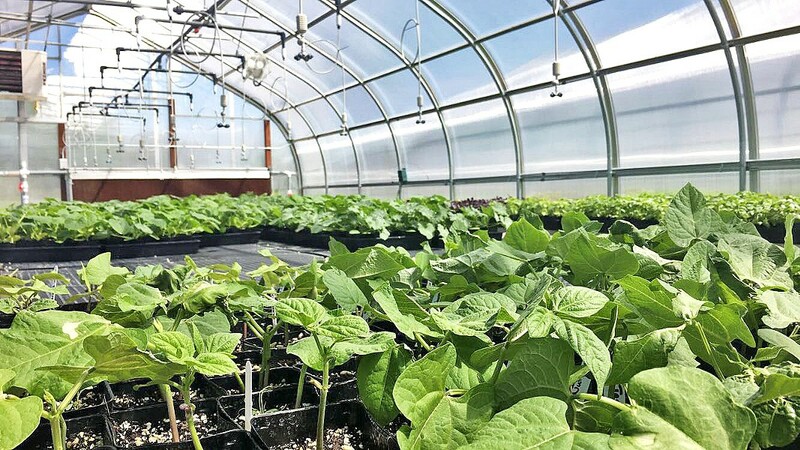 The professor behind plant science, Dean Harrell, said that the students have been working hard to produce about 6,000 plants to showcase to the community. There will also be a booth called the Plant Doctor, where members of the community can ask questions about certain plants, seek advice, or learn what could help grow a better crop. Harrell said this is the perfect opportunity to promote the program, but it's also a great way to show the community what the students have learned. A lot of the plants that the students have worked with are varieties adapted to the Paso Robles area. "We're growing the plants so that they perform well, wherever they end up," he said. Harrell's face lit up when he talked about the possibilities of employment for his students. He said he wants students to understand there are so many facets that go into the production of a crop and that a career in the field isn't limited to being a grower. "Maybe you're on the supply side of things, maybe the business side of things, or dealing with the mechanics of it," he said. "I want our students to go out and understand the language and the way things work so they can make good decisions in the field." Cuesta's North County Campus is located at 2800 Buena Vista Dr. in Paso Robles. Visit cuesta.edu for more info.